Night Vision Binoculars ONV2/5x has the single compact Super 2+ Generation Image Intensifier Tube with the good quality, best sensible photocathode and flash light protection. The device has high quality 5x lens and the specially designed eyepiece system that all together provides the best quality of observation with perfect resolution and sharp image over entire Field of view. 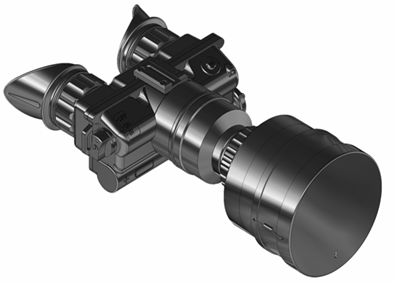 ONV2/5x binoculars are featured by the long range detection of objects, the automatic brightness control system and the automatic built-in switch-off trigger that protects the Image Intensifier tube and an observer eyes from unexpected flashes of lights and subsequent damage and temporary blindness. The device is equipped with IR illuminator for highlighting the objects in absolute darkness. ONV2/5x is applied for all types missions where the long range observation is required. 5x high resolution lens provide sharp and clear view and man detection from 450m and up to horizon in moon night. Switch mechanism and the cover of battery compartment are comfortable to use either operating in gloves. Low price and good quality of imagery make this device attractable for hunters, fishers, security, police, law enforcement and researchers. Thus ONV2/5x nowadays is a good solution for the best price! 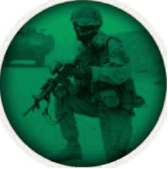 ONV H mount and U mount Kevlar Helmet Mounts, are metal helmet mounts for attachment of ONV3 & ONV2 Night Vision Goggles to a standard PASGT infantry Kevlar helmet by means of a rugged strapping device and grooved hooks. While attached to helmet mount, NVG Goggles can be positioned directly in front of user's eyes or flipped.